We dream it up. We blend it up. We pack it up. Spices are just a pinch of what McClancy has to offer. We have a full menu of services that gives you all the advantages of a single-source supplier. 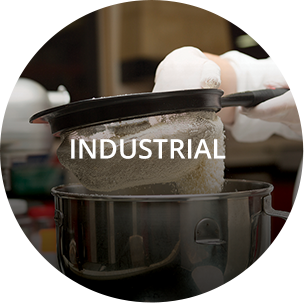 Our research and development division can work with you to create the taste your customers can’t resist. We can blend the recipe to perfection, and if the job requires, co-pack it ready to stack on the retail shelf. Of course, our end-goal is always to keep your customers hungry for more. The journey begins in our culinary research and development center where our team of certified chefs and scientists create exciting, distinctive flavors and customizable products to meet the demands of a fast-paced and constantly changing market. Our team can work with provided specifications or take the lead by researching current market trends to develop flavors that are efficiently made and proven through meticulous testing. 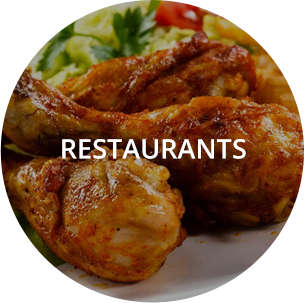 We address a wide range of industry needs including new product development, menu ideation, line extensions, product enhancement, processing improvement, and shelf-life enhancement. Once a product has been developed, our custom blending facility ensures consistent production with modern processing equipment and same-source ingredients for utmost speed and precision. By utilizing our specialized machines, our clients see a reduction in labor, material and procurement costs. 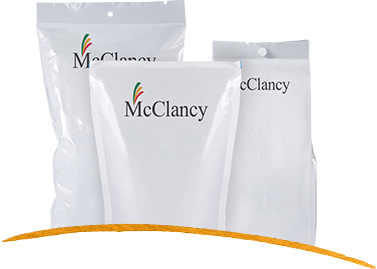 A partnership with McClancy also guarantees complete confidentiality and a number of competitive advantages, including precision grinding for accurate heat indexing, pungency standardization and particle sizing. Finally, co-packing offers clients an economical way to offer a larger variety of brands, while maintaining the same consistency and quality standards McClancy provides throughout all of our services. 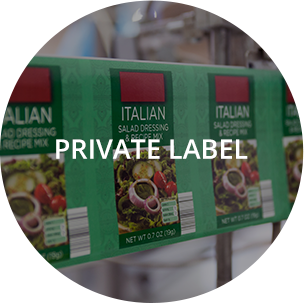 With a wide range of packaging equipment, we offer custom solutions for high-speed filling of cartons, cylinders, bottles, packets, bags and more; we accommodate fill weights from one gram to 1,200 lb. totes. A strategic co-packing partnership with McClancy can make an enormous contribution to your shelving strategy and, ultimately, drive sales by reducing the cost of line and brand extension, gaining valuable shelf space, entering new markets and extending brand influence. No matter what stage of development you are in, McClancy will cater to your specific needs, providing as much or as little support as needed. For almost 70 years, McClancy has been making food flavorful. Our mission is to nourish, delight and exceed expectations of families across the globe every meal, every day. McClancy is a family-owned company dedicated to serving as a strategic partner for our clients. As a single-source supplier, our goal is to use our capabilities to grow your business in both profit and offerings. Millions of people eat something made with McClancy’s products every day. Shouldn’t you take advantage of McClancy’s expertise, too? With our Spice Trader Seasoning Packets, we bring you the highest quality seasoning and spices from around the world. 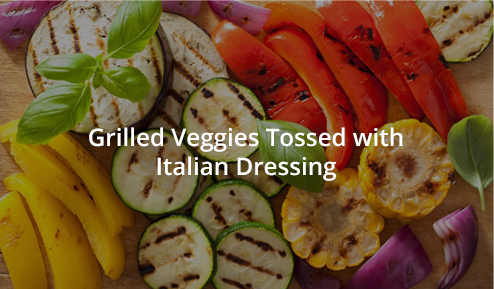 From dry Italian Dressing to Hot Chili Mix, our seasoning packets add delicious flavors to all of your favorite meals. Continental Chef brings flavors from around the world to your table. Whether it is a warm Hot Cocoa Mix or our 7 Minute Sides, we have a variety of options for you to choose from. The Southern Sweetener Drink Mixes brings you classic, country-porch favorites, as well as flavors from around the world. With no artificial colors or sugar, our delicious teas and lemonades provide a drink option that is low in calories and high in taste. Want to try a new recipe? Looking for something as delicious as your grandmother’s apple pie? The team at McClancy came together to bring you some of our favorite recipes, as well as approved recipes submitted by our customers. We hope you find a recipe that will be stored in your cookbook for years to come. 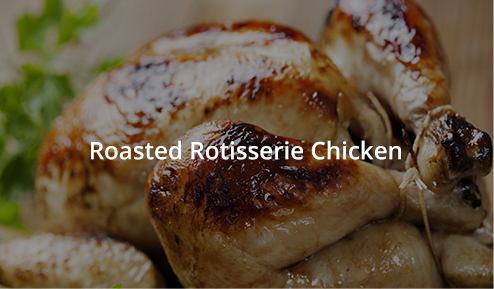 If you would like to submit a recipe you love, click here and share it with us. We can’t wait to try what you like!